Hajj like every other ritual in Islam has purpose, virtues and requires the pilgrims to adhere to a set of manners. We discussed the purpose of Hajj in the previous article Alhamdulillah; in here we will focus on the manners required for, and virtues of this great journey, bi-idhnillah. Manners are what give actions their true beauty and life. Manners of Hajj are the same as that of salah, fasting and other acts of worship: Khushoo and Khudhoo’. 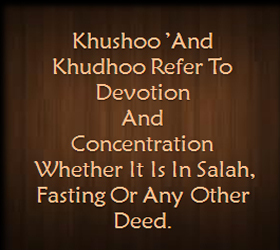 Khushoo ’and Khudhoo refer to devotion and concentration—whether it is in salah, fasting or any other deed. This is the criteria of a successful believer that Allah SWT has set. When a person puts all worldly matters aside and stands in front of His Lord every day, five times a day with absolute attention and devotion, it is an act of beauty and love. This same act when done half heartedly can become a burden and a nuisance. Just like that when a person fasts without the true manners and essence of the deed, it is an act of inflicting hunger and harm on oneself. But when done with devotion and concentration so that a person abstains himself from all things undesirable such as vain talk, vulgar speech, listening to or thinking evil thoughts etc. this same act reaches a much higher spiritual level. So in reality, Khushoo’ and Khudhoo is absolute obedience of Allah SWT to attain His pleasure, which enhances an otherwise ordinary act of worship. Hajj is an accumulation of all the other pillars of Islam so by default the criteria of its success is also absolute devotion and concentration—only it is for a longer period of time than salah and fasting. It is as though Allah SWT prepares the worshipper through other acts of worship for this great journey. 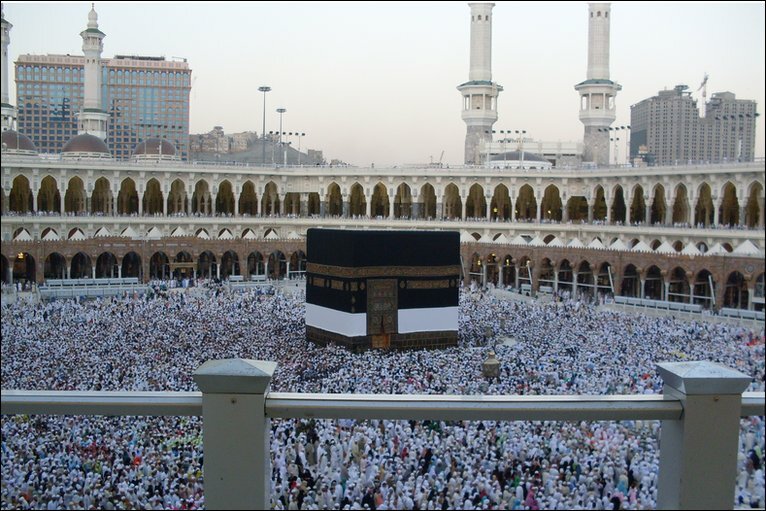 From the time a person makes the intention of Hajj, he is like a migrant. From a state of egotism and self worship to absolute servitude of Allah SWT. This is what the call of talbiyah is about. It is a call full of love, devotion, and humbleness from the slave seeking his Master’s acceptance. ‘Here I am O Allah, (in response to Your call), here I am. Here I am, You have no partner, here I am. Verily all praise, grace and sovereignty belong to You. This call is an acknowledgment of the gifts and bounties of the Lord on His slave. It is the recognition of the Lord and His greatness. This acknowledgement generates love and proper manners in the heart, which then reflect through the actions of the body. Below we will list some of the manners of Hajj. They might seem small but they are great in magnitude. These are basic etiquettes of life that should be practiced at all times, but become imperative during Hajj. If ignored, these seemingly insignificant acts can nullify the entire Hajj. A person is not allowed to oppress anyone; this involves backbiting, either by one’s own mouth or by listening to others. Gossiping is prohibited—whether done with others or committed inwardly, by having bad thoughts about someone. A person should refrain from any talk of duniya, business, family affairs or other matters of worldly concerns. Not that they are prohibited; it is just bad manners to go to the House of Allah as His guest and keep oneself occupied with insignificant things while neglecting the host. This leads us to the next point. Manners require us to keep the time we are at Hajj purely for Allah. Just like during salah we don’t communicate with anyone other than Allah or don’t think of worldly matters, we should try our best to maintain the same concern and level of devotion throughout this journey as well. The person should perform the maximum amount of dhikr and salah as good deeds are multiplied in Makkah and Medina. Each salah in Medina is equal to1, 000 raka'a while in Makkah the reward is equal to100, 000 raka'a. 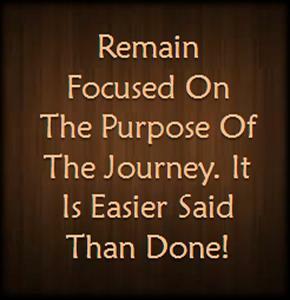 Remain focused on the purpose of the journey. It is easier said than done! You should not complain of any inconvenience you might face—be it delays of food or transportation, lost luggage, fault of the travel agent or any other matter; as in reality complaining is a denial of all the bounties of Allah SWT! Hajj is a great journey with great rewards, and before any great gift there is a great trial. You will have trials in this journey—it’s a given! What you are responsible for is to keep your manners and restrain yourself from complaining and whining. One of our pious predecessors said: the real manner of Hajj is to not harm anybody physically or emotionally, intentionally or unintentionally, from the time you leave your home until you return from this journey. Tests are a must irrespective of the kind of package you buy! Whether you have a VIP package or an economy package, trials will be there since they are orchestrated by Allah SWT to test your level of sincerity, humbleness, and contentment. 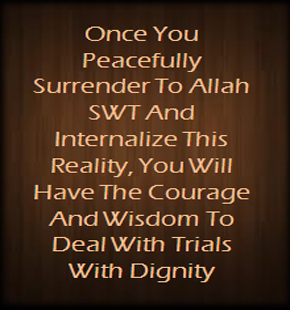 Once you peacefully surrender to Allah SWT and internalize this reality, you will have the courage and wisdom to deal with trials with dignity, and you will not mind even letting go of your rights. If someone hits you, pushes you, steals your food or money, you will know that this is what Allah intended for you at this time and the purpose is to test you and raise your spiritual level. The main point I am trying to make here is that irrespective of what happens, keep your heart connected to Allah SWT and keep it pure from any dirt! 7.To be in a state of complete obedience, surrender, humbleness and humility throughout the journey. This can only come from the recognition of whose house you are visiting and how much respect you have for Him SWT in your heart. These are some of the manners which when practiced with love and devotion can enhance the beauty of even the simplest action. Yet, ultimately, his assets could not buy the technology to save his life. When it was ordained for his heart to stop beating, nothing in this world, not even the best team of doctors, could have prevented it. Hence, the question is, what was the value of his life, if he did not believe in the Creator? If worship is a flower, than virtue is its fragrance. Just like the flower attracts others by its aroma, good deeds invite others through their virtues. Virtues in themselves are not the goal of good deeds since the goal is always only to gain the pleasure of Allah SWT. Rather, they are a bonus which Allah SWT grants His slaves in order to motivate and encourage them. What higher level of mercy and benevolence can we ask for? However, the stipulation here is that you value the honor that Allah SWT has given you by offering you this journey, and carry out your Hajj purely and sincerely for His pleasure and to seek His approval. Anyone who dies while in the state of Ihraam will be resurrected as a Hajji (performer of Hajj) on the Day of Judgment. Our pious predecessors used to make du’a and ask others to make du’a for them that Allah takes their soul during Hajj. People who die in this state will be admitted to paradise without any reckoning. Imagine the honor of being the guests of Allah SWT! The rewarding of Hajj is not limited to a Hajji only. Hajj is a time of unity within the ummah. Those unable to go for this great duty are encouraged to fast and make du’a for the acceptance of those who were honored to perform this journey. The real fruit of Hajj will only be manifested in a slave when he intends to make complete tawba (repentance) from his previous life of sins and heedlessness, and promises to live purely for Allah and His pleasure. Meaning he promises to sincerely migrate to the path of Allah SWT. Allah SWT invites His slave to His house—a house that is nothing but an empty building of stones. Why didn’t Allah SWT, with all His grandeur and kingdom make a magnificent structure? Because He wants to remind us that all this earth and what it contains is worth no more than these rocks! This takes us back to the purpose of Hajj as discussed in the previous article, which is to leave off duniya and start the journey to akhirah. Reminder: Just like the virtues in Makkah and Medina multiply, so do the sins; the only places on earth where the sins multiply are these blessed places. So it is just as easy to lose your virtues as it is to gain them. The key of success is conscientiousness and respect for the great blessing that Allah SWT has bestowed on you by inviting you as His guests. Ta Ha. We have not sent down to you the Qur'an that you be distressed But only as a reminder for those who fear [ Allah ] - A revelation from He who created the earth and highest heavens, The Most Merciful [who is] above the Throne established. To Him belongs what is in the heavens and what is on the earth and what is between them and what is under the soil. And if you speak aloud - then indeed, He knows the secret and what is [even] more hidden. Allah - there is no deity except Him. To Him belong the best names. And has the story of Moses reached you? - When he saw a fire and said to his family, "Stay here; indeed, I have perceived a fire; perhaps I can bring you a torch or find at the fire some guidance." And when he came to it, he was called, "O Moses, Indeed, I am your Lord, so remove your sandals. Indeed, you are in the sacred valley of Tuwa. And I have chosen you, so listen to what is revealed [to you]. Here Allah SWT is reminding us of the ultimate manner in Islam—the recognition of absolute oneness of Allah SWT and to devote all deeds purely to Him. Allah SWT is reminding us of who He is and what our final destination is; and this reminder is the very purpose of Hajj.